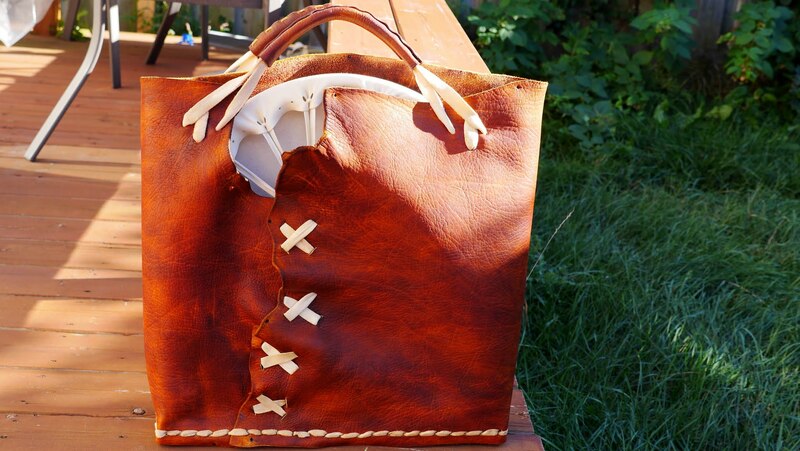 / Custom Order / Leather bag, just leather. 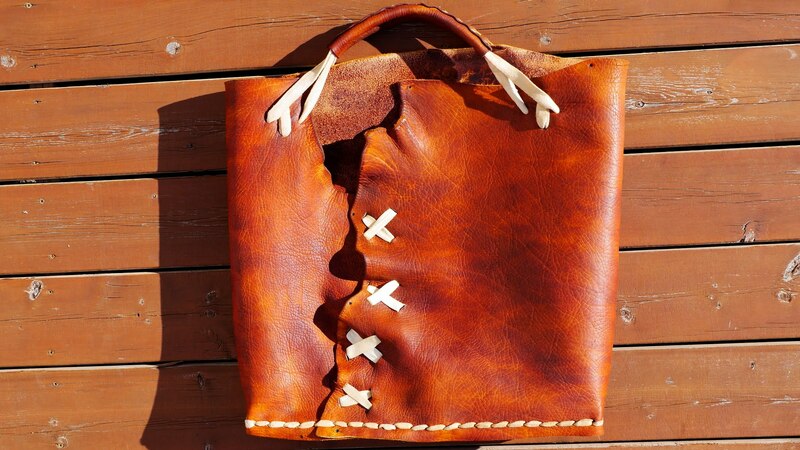 This is a very rustic looking bag. 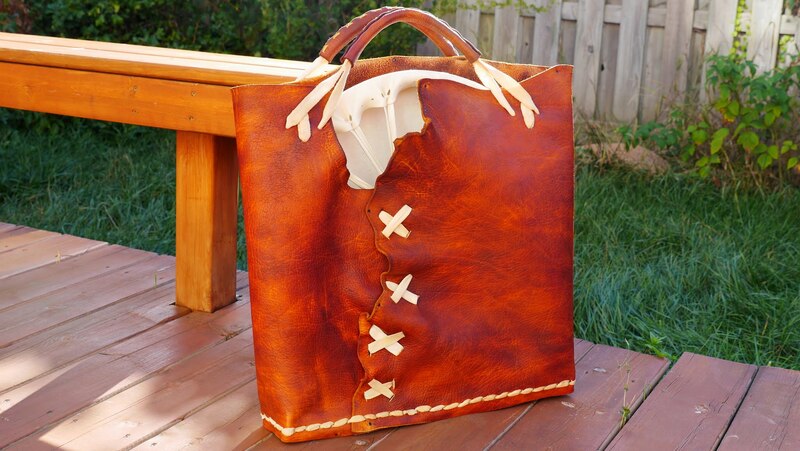 No threads or metal hardware is used. 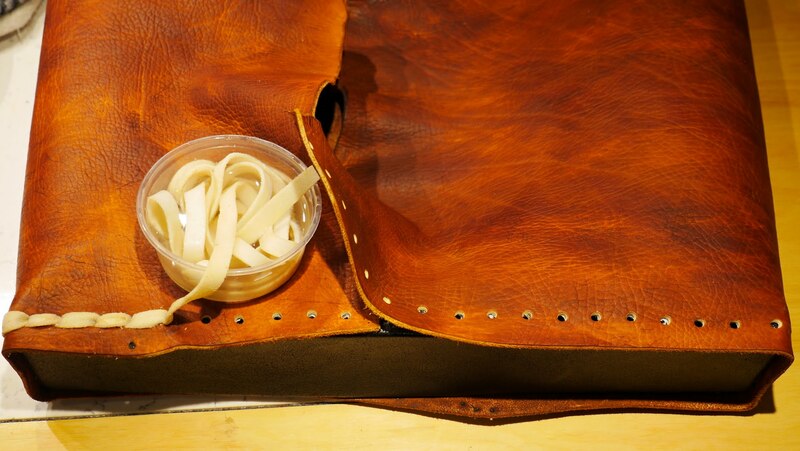 It is made exclusively of a thick mix tanned leather and a rawhide. The bottom is a piece of rawhide. 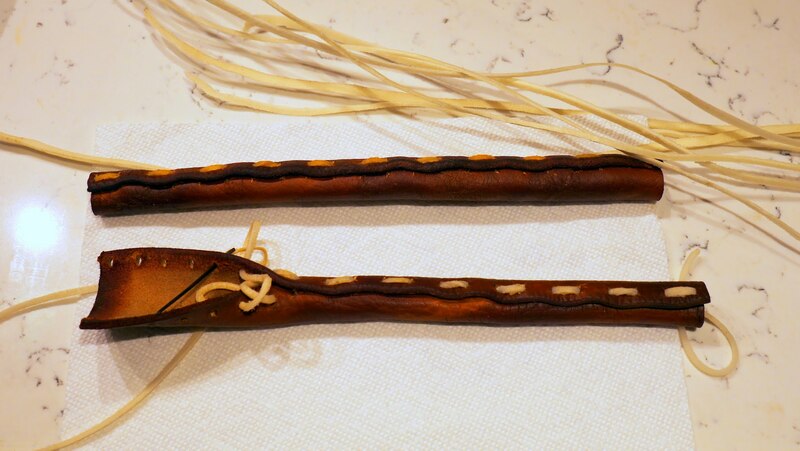 3 different width of the rawhide lace used – to connect the bottom, for the side seam (laced) and for the handles.